Yorsh the little elf is having a miserable time of it in the rain and in the mud until he meets up with a woman who is called Sajra, and a hunter who is called Monser. The three of them, along with Sajra’s dog, become close – even though humans usually refuse to have anything to do with elves. Together they escape from the dungeons of Daligar. They even survive meeting up with two giants and a troll, and after this extraordinary encounter they go into the mountains looking for the last dragon. They search for the last dragon because the little elf reads a prophecy which says that “when the last elf and the last dragon break the circle, the past and the future will meet. The sun of a new summer will shine in the sky.” Clearly this is something that Yorsh must do and since they care about him, Sajra and Monser go with him. By some miracle Yorsh and his companions find the last dragon. He is a very elderly and highly emotional creature and Yorsh pledges to stay with the elderly beast to take care of him. And this is just what he does for thirteen long years. And then he reads a manuscript about dragons and he discovers that his dragon is brooding and has been doing so for as long as Yorsh has known him. Soon after Yorsh makes this extraordinary discovery the elderly creature does indeed lay an egg. He then leaves the egg in Yorsh’s care, flying to his death. Poor Yorsh now has to care for a newborn, fire-breathing dragon. It is a very hazardous business and the baby dragon, Erbrow, is completely dependent on the elf for everything. Meanwhile, far from the dragon mountain a young orphan girl called Robi, the daughter of Sajra and Monser, is living in an orphanage in misery. The people in charge of the orphans abuse them dreadfully and at the same time they insist that they are treating the children with kindness. Filthy, undernourished, and overworked, Robi clings to a dream that she has. She dreams that one day a prince riding a great dragon will come to save her. Yorsh is amazed to discover that his helpless and hopeless baby dragon dramatically changes the moment he learns how to fly. At that moment Erbrow learns how to talk, think and speak. He suddenly knows all the things that his father knew, and he is not only wise, but he is also very arrogant at times. Yorsh and Erbrow go for rides together and Yorsh decides to go and look for his dear friends Sajra and Monser. Little does he know that in a valley far away, their orphaned daughter is waiting for him to save her. 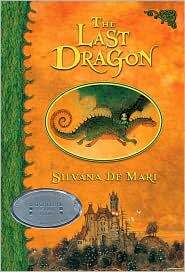 In this remarkable book Silvana De Mari tells a riveting story which shows her readers that even when ones destiny is carved in stone (literally), one can shape ones own future if one has the will and the courage. Full of humor, wisdom, great sensitivity and poignancy, this very special fantasy novel leaves one with a feeling of hope. Even when things are looking very grim indeed, one can hope that something good is going to come along.